We love an organic, affordable product with a multitude of applications. Kate Blanc’s USDA certified organic castor oil (with 100% concentration) can be used to stimulate hair growth, eyebrow growth, lash growth, and to moisturize the skin. Most fans of the product seem to be using the oil for natural hair stimulation, particularly of the eyelashes and brows. It’s a top-seller for the brand, and offers an affordable and safe solution for a common problem. 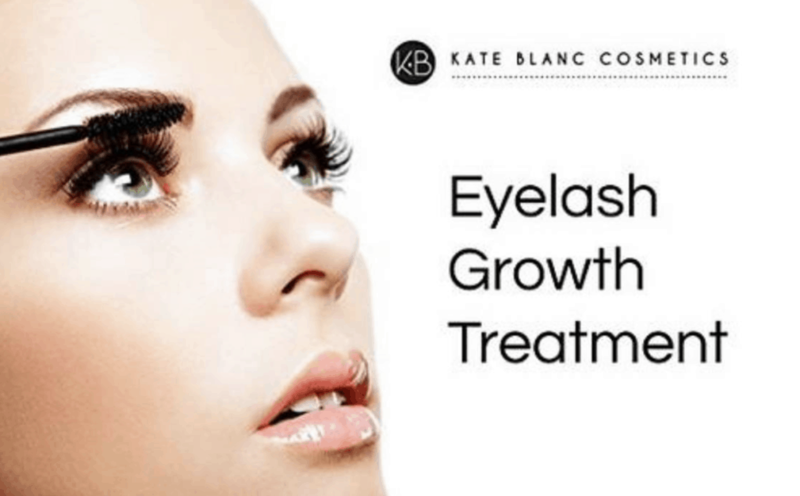 Too often cosmetics products, treatments, and even aging leave lashes or brows sparse and uneven. Of course there are serums, enhancers, and thousands of topical ointments promising restoration, or simply growth for those seeking increased volume. But rare is a popular and natural (certified organic) way to address concerns that are typically addressed chemically or with other cosmetic treatments. We wondered, is this multi-use product really effective in hair growth restoration and a solid topical product for the skin (body and face)? In reviewing, this is a safe, natural, and simple way to support growth of hair (on the scalp, brows, lashes) while gently moisturizing the skin. It has the addition of affordability, and an affordable 3 (or 4? )-in one product is always a good deal. There are a multitude of benefits associated with Castor Oil for the body, hair, skin, and overall health. A well-known source of ricinoleic acid, a rich fatty acid, this vegetable oil is widely used in alternative medicine, medical products, and for skin and hair care. It also helps fight fungus, treat acne, promotes wound-healing, offers anti-inflammatory benefits, and acts as a natural moisturizer. It may even improve immunity in the body over time with regular use. In this product, it’s formulation is hexane free, 100% pure, and cold-pressed. It comes with a free mascara and eye wand kit for the treatment of brows and lashes. Kate Blanc founded a company after developing a passion for all natural and organic products and their corresponding benefits to healthcare/skincare. She offers a line of all organic oils like jojoba, rosehip and argan. After experiencing great personal results and increased energy, she decided to share and brand her message of natural living in the form of all-natural beauty products suitable for all skin types. The California-based company is certified USDA organic and registered with the department of health, a rarity that breeds trust in transparence regarding ingredients and quality. The organic castor oil is her most popular product, with fans raving about its multi-use capabilities and dramatic improvements to the skin and hair. It is grown organically, cold pressed, and free of any preservatives or additives. The 100% organic concentration aids in product efficacy and improves delivery upon application. It acts as an anti-dandruff agent, promotes hair volume, and can even be used on the nails. It acts as a great natural source of hydration to the skin and results are visible, skin looks healthier, younger, and firmer. The bottle itself protects from external UV light, so as to maintain quality, includes a glass dropper, and is free of any carrier oil. If a customer (first-time or existing) is dissatisfied with the product, experiences skin reaction, skin irritation, or if allergic reaction to product ingredient occurs they will receive a full refund of the product price in full. So if there is any trepidation regarding the initial investment, you can rest assured that if you dislike or experience reaction it you will be refunded in full. Kate Blanc’s return/exchange policy covers the span of a full year, and offers a way to assuage fears, particularly for those who haven’t used organic oils before. If for any reason the product is not 100% castor oil and organic, you will also receive a full refund. Kate Blanc’s USDA certified organic castor oil makes the perfect multi-use product that combines efficacy and affordability. The product can be used to treat skin, hair, lash and brow growth, and even makes a natural nail oil. The benefits to overall health are seemingly never-ending, and this organic vegetable oil seems to offer similar benefits for the external. The company is transparent regarding ingredients and uses no fillers. An excellent pick for anyone looking for soft hair, hair growth (including eyelashes and brows), and soft dewy skin.